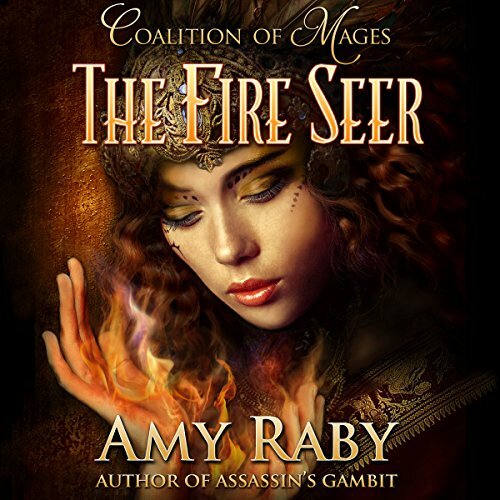 Showing results by author "Amy Raby"
Taya has risen from humble roots to become a fire seer in the Coalition of Mages. Eager to prove herself, she arrives in the town of Hrappa to locate a "jackal" - a mage operating outside the Coalition's authority - who has murdered three people. A great new series from an excellent author. Nalica Kelden, war mage and world-class archer, doesn't need love. She's come to the imperial city for a single purpose: to win Kjall's most prestigious archery tournament. Until she meets one of her fellow competitors, and he sends an arrow straight into her heart. Justien Polini is the man she's always dreamed of. Like Nalica herself, he's from the rough country in the eastern highlands. He's big and strong and handsome, and he's nearly as good an archer as she is.